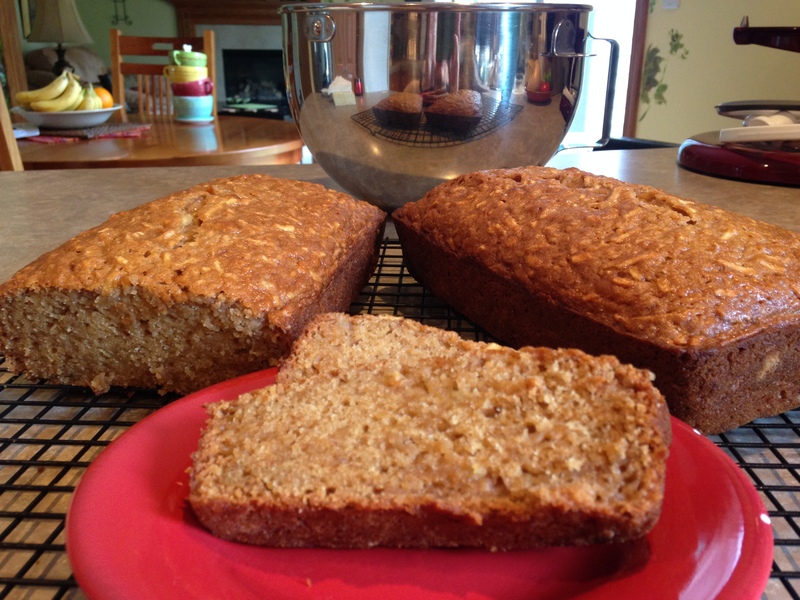 Apple Bread – Comfort food at it’s best! I have been baking Apple Bread for a very long time. I used to love late September, early October when we lived in Syracuse. In the fall we used to go to the Apple Festival, pick our own apples at the apple orchards, and have a huge selection of the most delicious apples. That seems like such a long time ago. Yesterday was a cool, approaching end of the Summer day. Why not bake apple bread? One of the best comfort foods, that is for sure. I always bake the 2 loaves. They never go to waste. (If you want you could cut the recipe in half and bake 1 loaf.) We ate half, Eric took half home with him, I brought some to work and will have some left over for the week! 3. Add flour, cinnamon, baking soda and salt. Mix together. The batter will be stiff. 4. 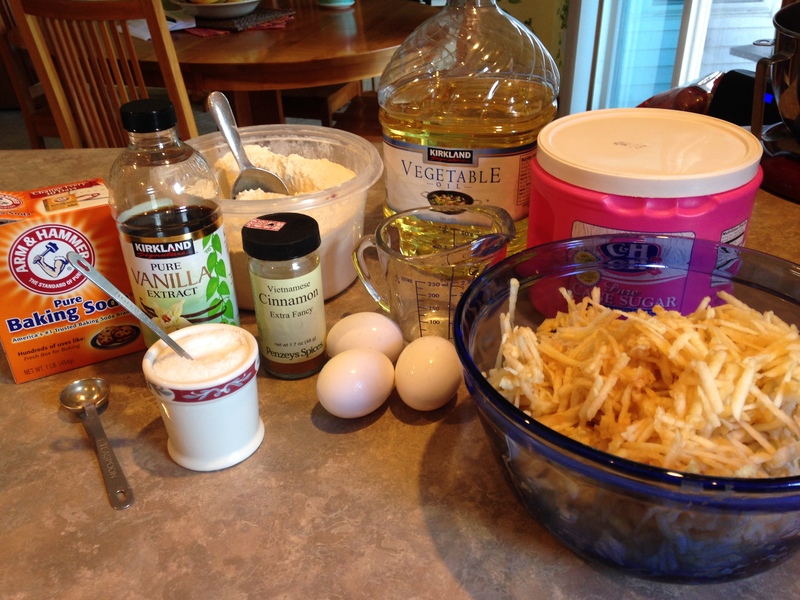 Add apples and fold into batter. 5. 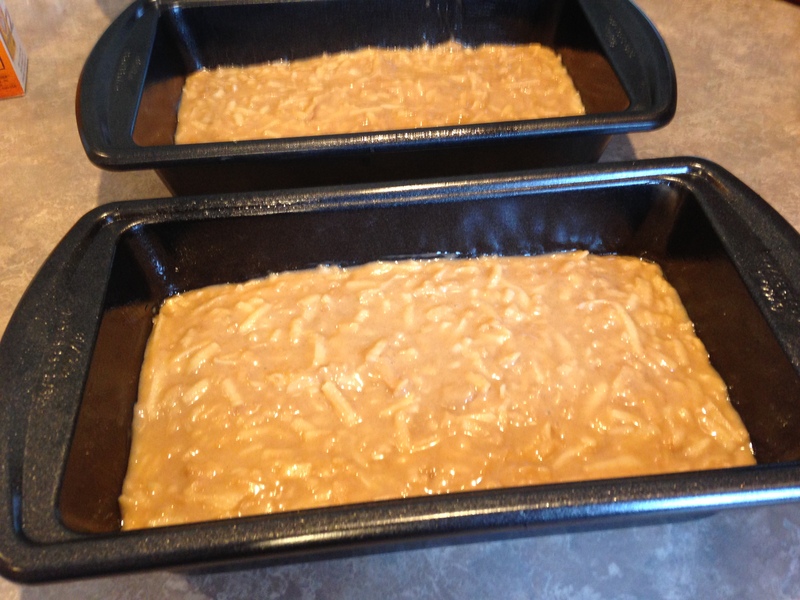 Divide batter evenly between 2 greased 9×5 bread pans. 6. Bake at 350 degrees for 45 minutes to 1 hour. That is it! In our family we all love this simple and delicious treat. Hope you do too!! I have been making these burgers forever! I made them this evening along with fried Hoffman Hot Dogs (or German Brand Franks), Hinerwadels Salt Potatoes (a Syracuse treasure) and home made brownies. Had some watermelon and oranges for fruit. That was the healthy part of this meal. 😉 I wanted to make something easy for dinner because I had a very long week in Syracuse. Kent and I drove 14 hours back to Green Bay yesterday. Today I wanted to have a simple and delicious meal. Here is the recipe for those awesome burgers! 1. 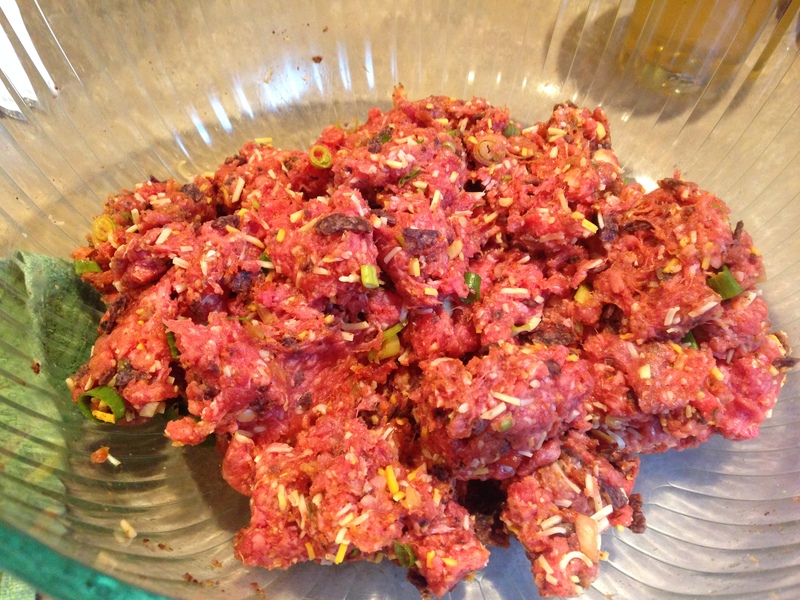 In medium bowl, combine ground beef, cheese, salsa, crushed tortilla chips, scallions and spices. 2. Mix together lightly but thoroughly. 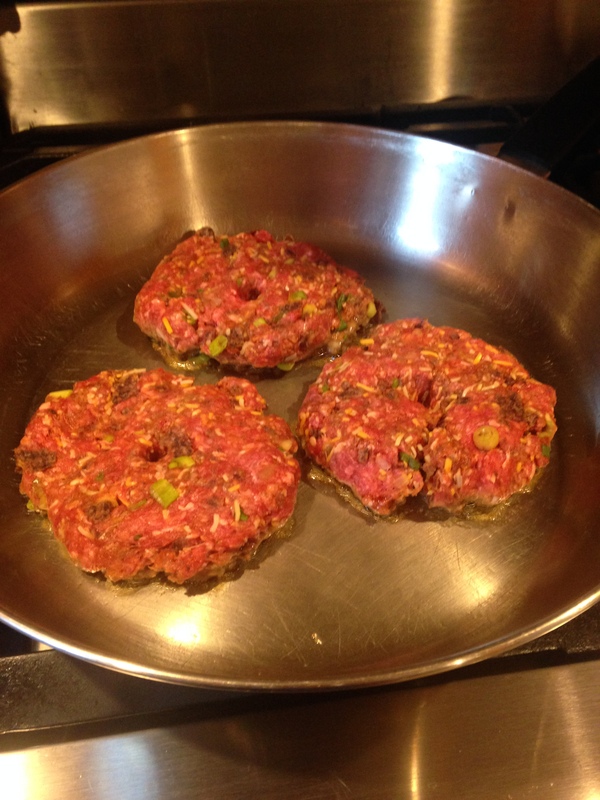 Shape into 4 patties, 1/2 inch thick. 4. Grill/fry 5 minutes each side. 5. Grill or lightly toast hamburger buns in frying pan or broiler. 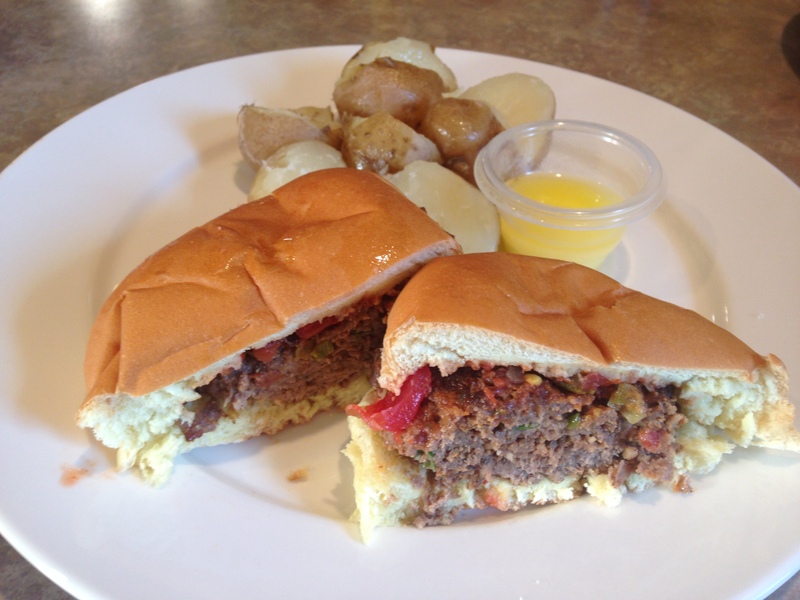 Place burgers on buns, top with cheese and salsa and serve. These burgers are super simple and very delicious! !